"People might think it's easier but that is far from true. Especially since I was not always good physically, I'm glad that it was technically and tactically perfect for us this week." 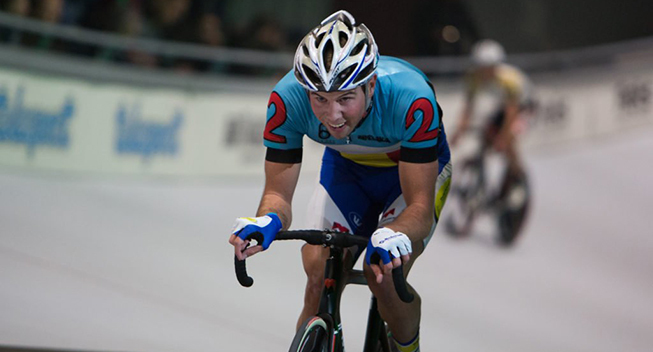 Kenny De Ketele and Moreno De Pauw won the Six Days of Amsterdam on Sunday. The Belgian duo was supreme in the Dutch capital and led from start to finish. They ended on the highest step of the podium in the Velodrome with 587 points. Germans Leif Lampater and Marcel Kalz were one lap behind in second with 554 points. Swiss Tristan Marguet and Claudio Imhoff scored 534 points and had to settle for third place, two laps behind the leaders. "People might think it's easier but that is far from true," De Ketele told Het Nieuwsblad. "Especially since I was not always good physically, I'm glad that it was technically and tactically perfect for us this week." In late October, the De Pauw and De Ketele won the Six Days of London. It was the 23rd edition of the Six Days of Amsterdam. Last year, the race was canceled after the bankruptcy of the previous organizer. In 2013, De Ketele won the race together with Gijs Van Hoecke.